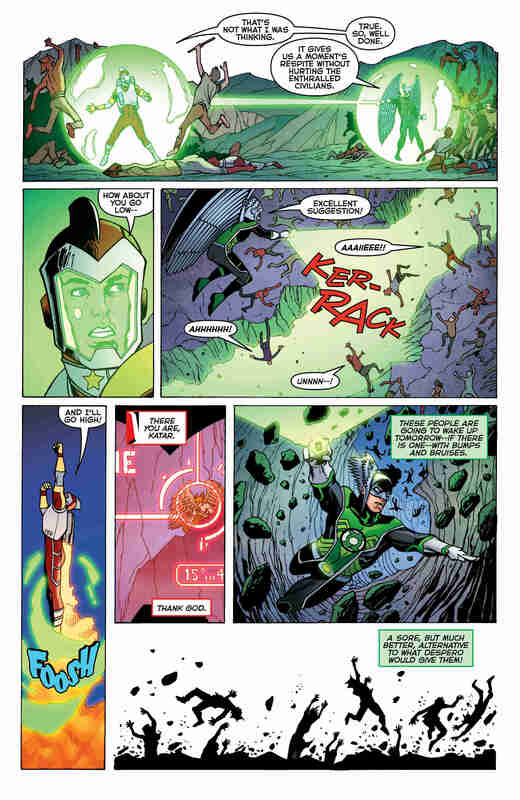 When the Death of Hawkman miniseries was originally announced, it was billed as Hawkman/Adam Strange: Out of Time before being rechristened as what we now know it to be. It stands to reason that the change was made to boost sales, although it risked spoiling the endgame. 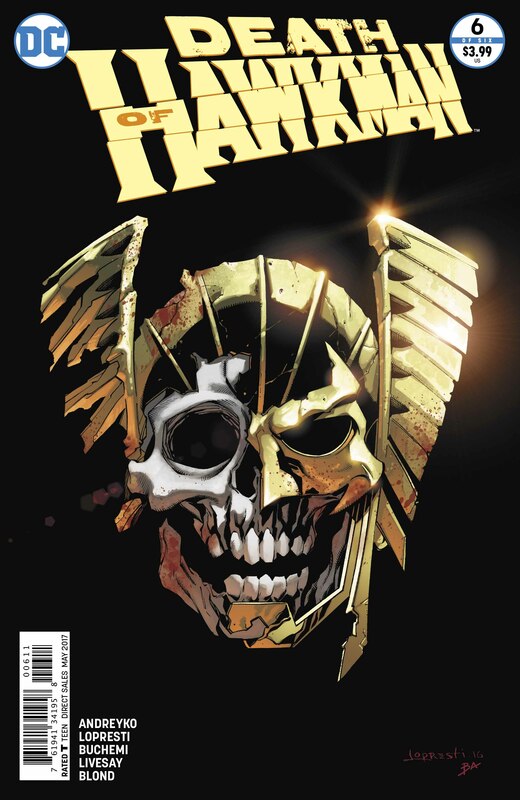 Not long ago, we too wondered whether DC would pull the trigger on one of its oldest heroes and, as of today, we can confirm that Hawkman is no more. Well, at least in this incarnation (more on that in a moment). 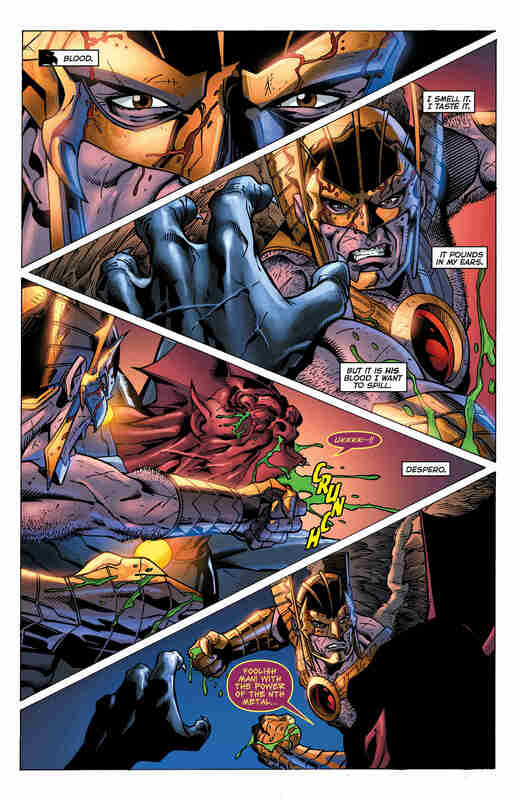 In short, the Thanagarian warrior met his end while heroically sacrificing himself in battle in order to kill Despero. 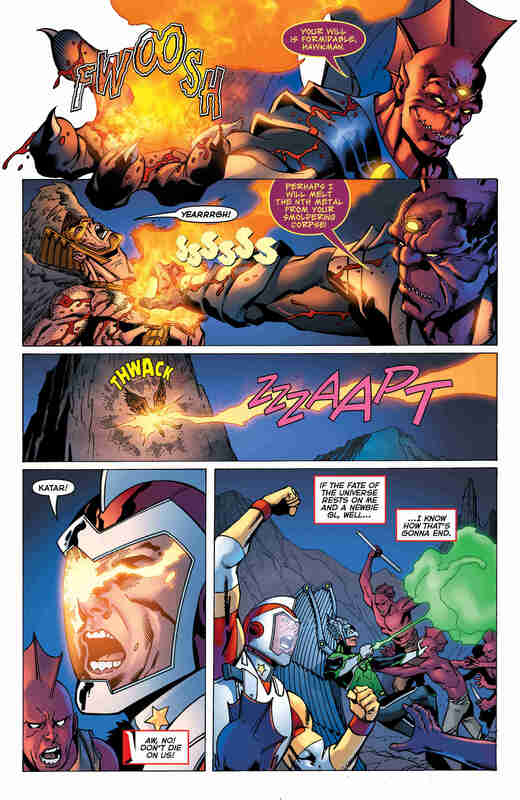 Unfortunately for him, the final pages revealed that Despero fully regenerated before the intergalactic despot proclaimed this isn’t the end by any stretch of the imagination. 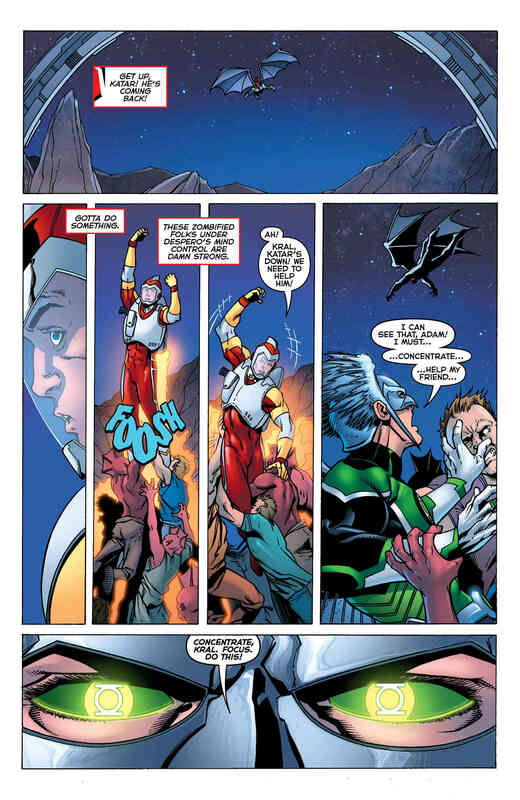 What’s more is that Adam Strange has been apparently flung to another dimension and Hawkman’s bones are floating around space. By now, many of you are no doubt aware of the industry’s penchant for spoiling character deaths and resurrections well in advance of on sale dates in hope of maximizing profit and, while one could argue the name change of this series alone was DC doing just that, it seems like nobody is even really talking about this. 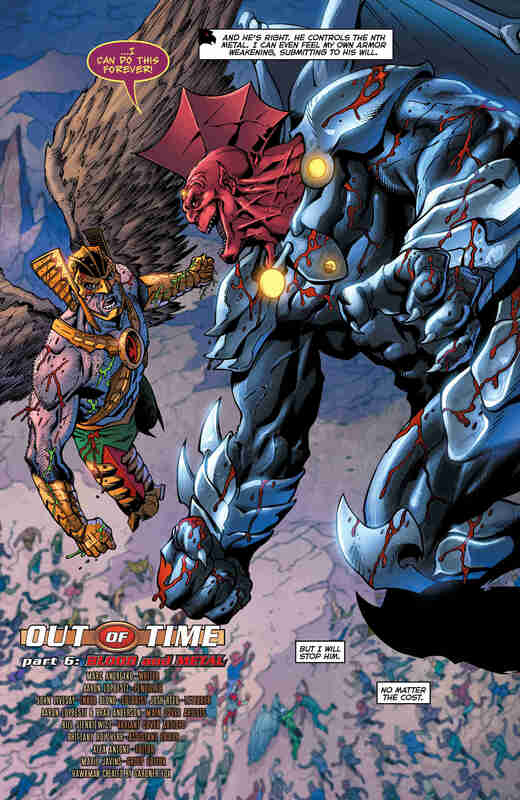 Thus, we hope that devoted Hawkman fans feel their hero didn’t go out with a whimper. But, let’s not forget that Katar Hol is all about the reincarnation game, so the publisher could very well be cooking up a Rebirth title for later this year and, honestly, very few characters are so perfectly suited to having “Rebirth” adorning their cover. Now begins the wait. 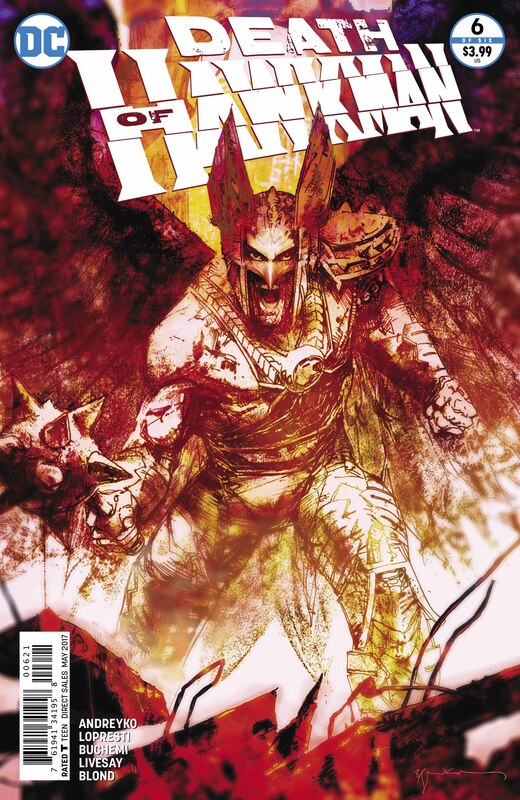 Death of Hawkman #6 is available in comic shops everywhere.